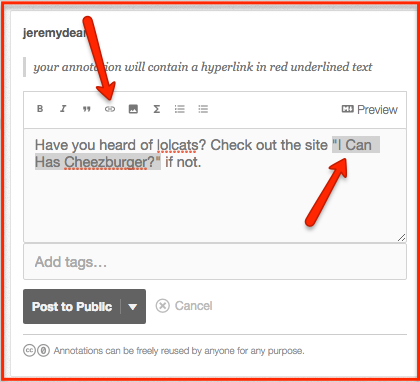 Hypothesis provides a text editor which allows you to include links, images, texts, and videos in your annotations. 1. 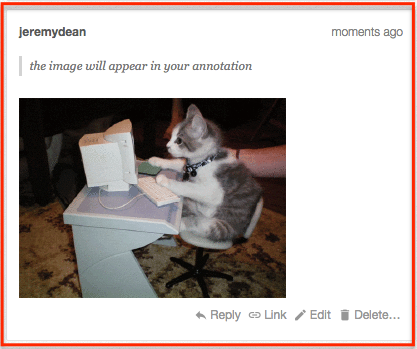 Copy a URL that you would like to include in your annotation. 2. In the Hypothesis client text editor, select some text in your annotation and click on the link button. 3. The Hypothesis text editor will put square brackets around the words you have selected and will add (http://insert-your-link-here.com) next it. Replace the http://insert-your-link-here.com with the URL you copied in Step 1, making sure to leave the parentheses. 4. 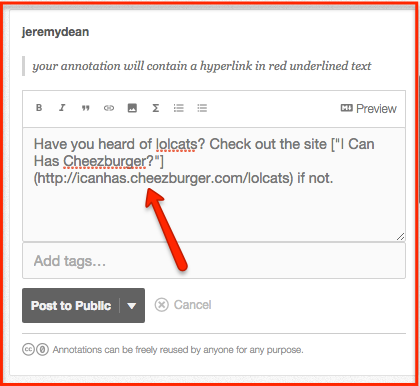 Save your annotation to see your hyperlink in red underlined text. 3. Replace the http://insert-your-link-here.com with the image URL you copied in Step 1, making sure to leave the parenthesis. 4. Add an image description in between the square brackets. 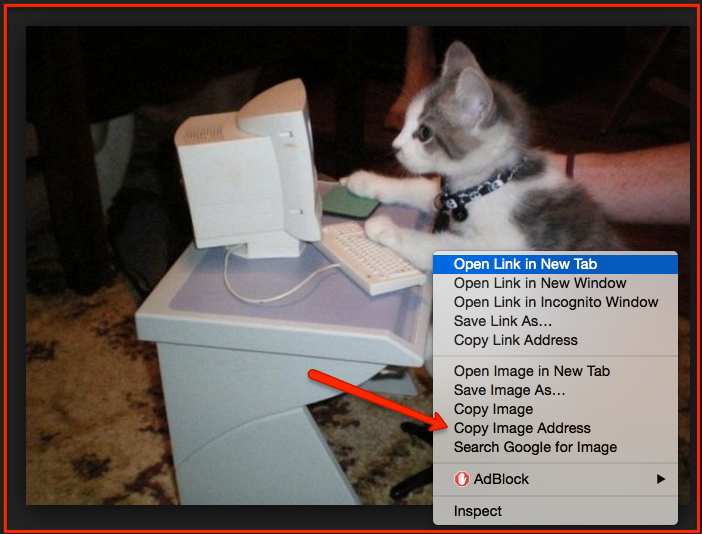 This will help blind and low-vision users, and is a best practice for using images on the web. For information on how to write good image descriptions, see this blog post from the Stanford Web Services Blog. 5. 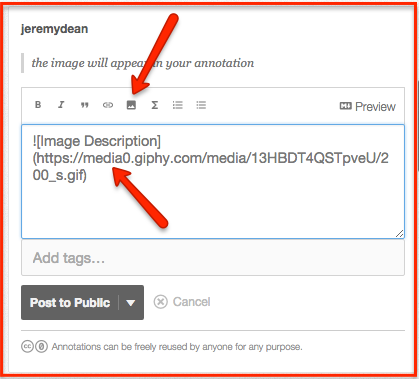 Save your annotation to confirm that the image has been embedded properly. 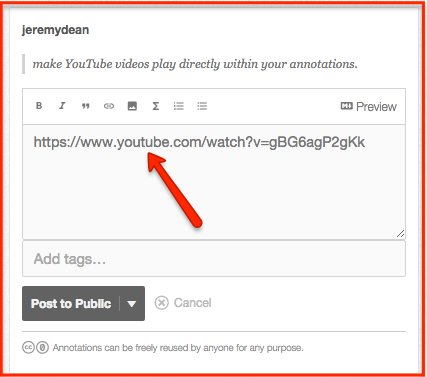 Save your annotation and the video will be embedded automatically, meaning you and others can play the video directly within the annotation sidebar.